This guy skipped the trust fall and just dove. RIVERSIDE, Calif. --- Always on the cutting edge of Adventist innovation, La Sierra University has launched crowd surfing as part of its chapel praise and worship experience. Student crowd surfers are encouraged to mount the stage during praise time and take a step backwards in faith for the ultimate trust fall off the stage and into the hands of their fellow students. 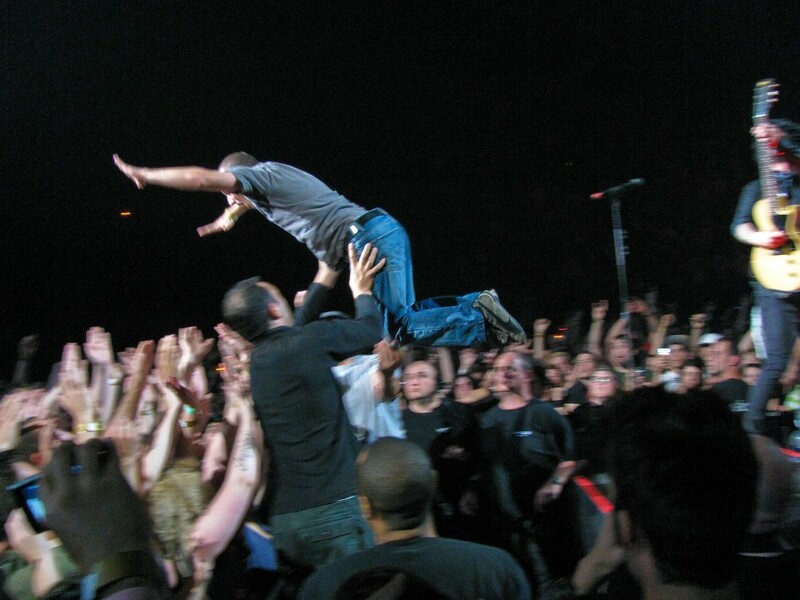 Students are allowed to surf the crowd for the entirety of the worship song that was being sung at the time of their fall. At the end of the song they are safely lowered into a chapel pew by their fellow students. Cussian added that the school’s enrollment department had been flooded with transfer students from Adventist schools with lamer chapels. “We've even gotten a bunch of physics majors applying from the Michigan Conference,” said Cussian. Sign me up for LaSierra. Peter, the disciple, was the first to surf. Maybe it was Jonah. How Biblical can this get? Will this trend stay popular until we get to Indy in 2020? I want to see Ted do this surfing. What a blast! !